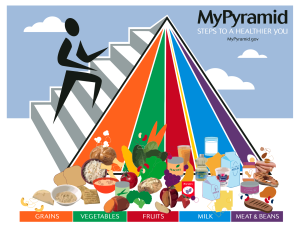 Most people I discuss nutrition with have heard of the Food Guide Pyramid, possibly MyPyramid, but even fewer have heard about MyPlate, which is the current national nutrition education tool for general population nutrition guidance. 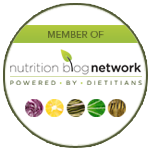 This post discusses my criticism of MyPlate after a brief criticism of the other nutrition teaching tools. Nutrition Education Tool 1992 Eleven Grains a Day while I sit at my desk, lolwut! 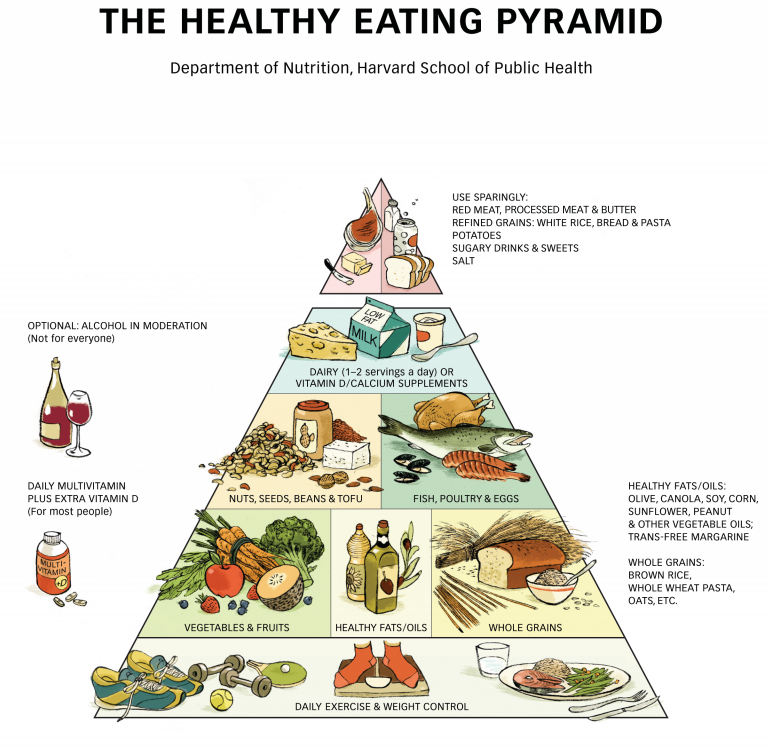 The Food Guide Pyramid was criticized for overemphasizing grains and not putting enough emphasis on fats, among other things. It also had a hierarchy of importance of food groups, even though clearly protein and vegetables probably should be higher up on that hierarchy. That said, all food groups are important for their own reasons. MyPyramid attempted to divide the base of the pyramid into all food groups and had a base of physical activity as well, showing that all food groups are important. A criticism of MyPyramid was that it was too hard to understand. All food groups are important, but this image was too hard and too busy to understand for most. 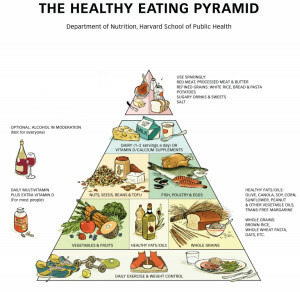 If you get to the top of the pyramid, I guess you get less food. 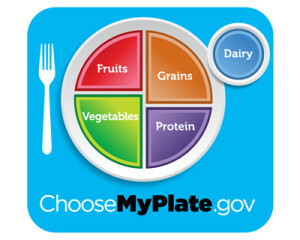 MyPlate came out in 2011. It was set on a plate, which was supposed to make it easy for people to understand since most people eat off of a plate. While I personally eat all of my meals out of bowls, plates are still easy to understand and can be thought of more as a pie chart. Most people understand pie charts. This is a good part about the current educational model. MyPlate emphasizes vegetables and is the first teaching model to recognize that you just need “protein,” not necessarily meat, which accomodates vegetarian eating. What I dislike about MyPlate is that there is no mention of healthy fats on there. Where do the nuts and seeds go? I guess in the protein spot. I always point this out to my clients who don’t need a lot of carbohydrate in their diet due to low activity. I also think that MyPlate makes you think you need a fruit at every meal, which I do not promote. If you want to fit a fruit in every meal, you can, but I don’t think it is necessary. MyPlate doesn’t work very well for certain segments of the population. For athletes, for example, I decrease the size of the vegetables portion to increase the size of the grains portion. Yes, you Paleo fans can make MyPlate work if you use potatoes and sweet potatoes, but not everyone is going to go Paleo, ok? 🙂 For weight loss clients, I sometimes decrease the size of the grains part of the plate to enlarge the vegetables part. For some people who eat tons of fruit who have certain goals, I may decrease the size of that for them. Harvard’s attempt to compete with the government recommendations. Drab and requires IQ over 100. The Harvard Plate shows that calcium doesn’t have to come from dairy, and it also cautions against getting too much calcium due to association studies for higher morbidity risks, such as elevated risk of prostate cancer in men. The evidence is far from conclusive on that, so I caution even mentioning it. Harvard also puts oils under nuts and seeds, which is interesting considering oils are processed from nuts and seeds. 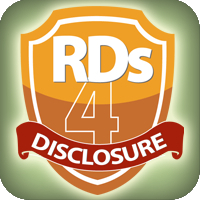 Which is a more nutrient-dense source of unsaturated fat? Nuts and seeds. Vegetables and fruits are grouped together. Someone could run with that and not eat vegetables then. Fruits and vegetables were not created equal. There is too much going on in this pyramid to critique it all in this blog post. In short, it isn’t perfect either.